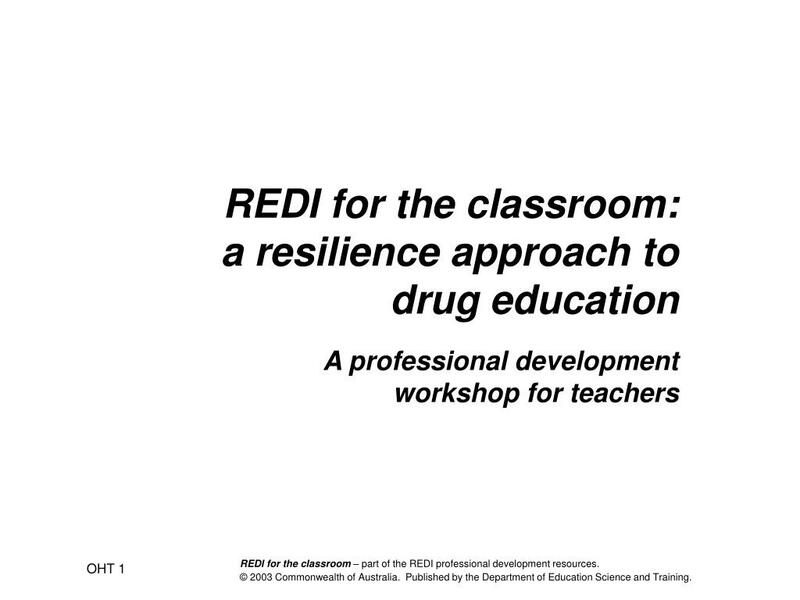 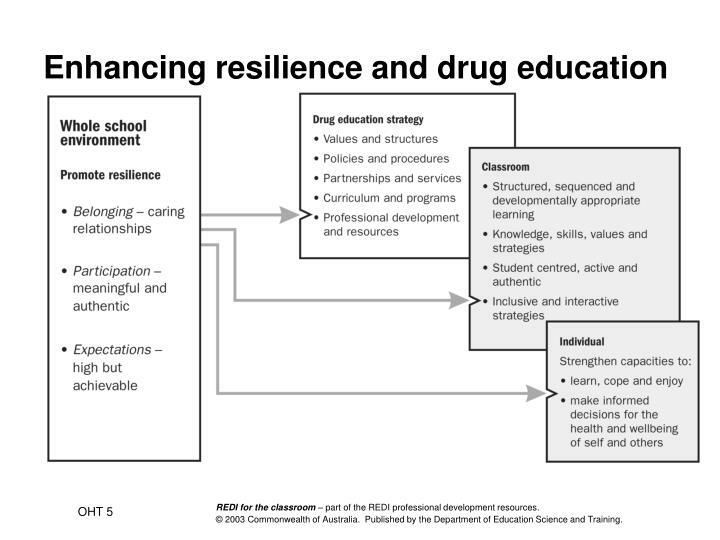 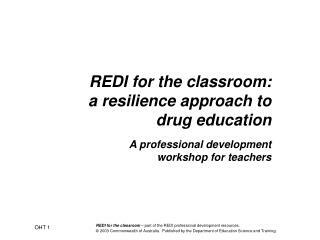 REDI for the classroom: a resilience approach to drug education A professional development workshop for teachers OHT 1 Workshop aims Develop an understanding of key features and strategies for effective drug education and enhancing student resilience. 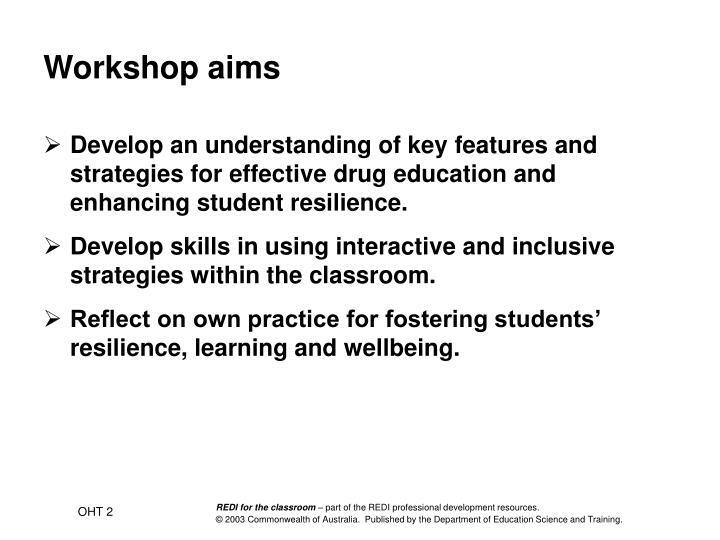 Develop an understanding of key features and strategies for effective drug education and enhancing student resilience. 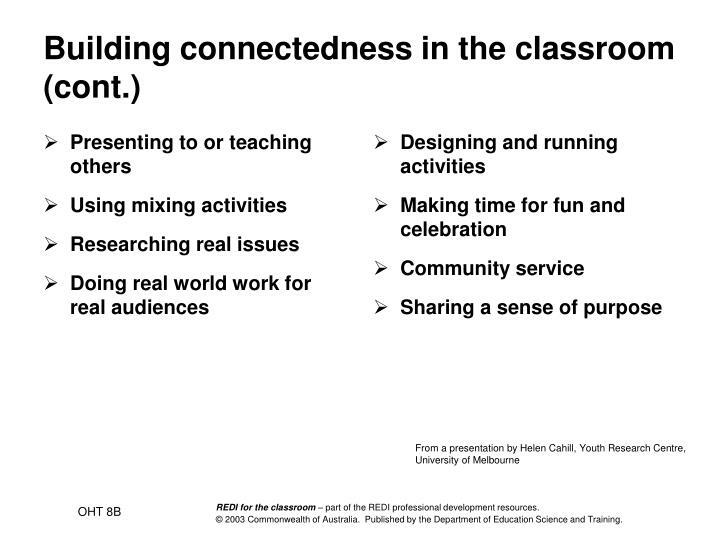 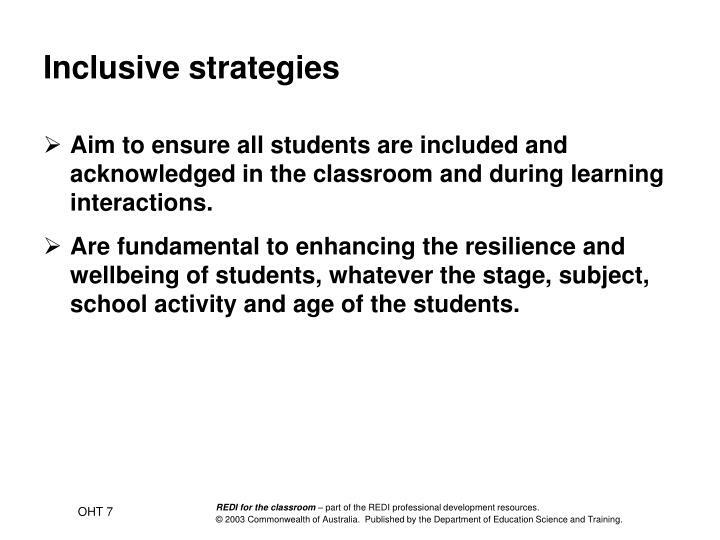 Develop skills in using interactive and inclusive strategies within the classroom. 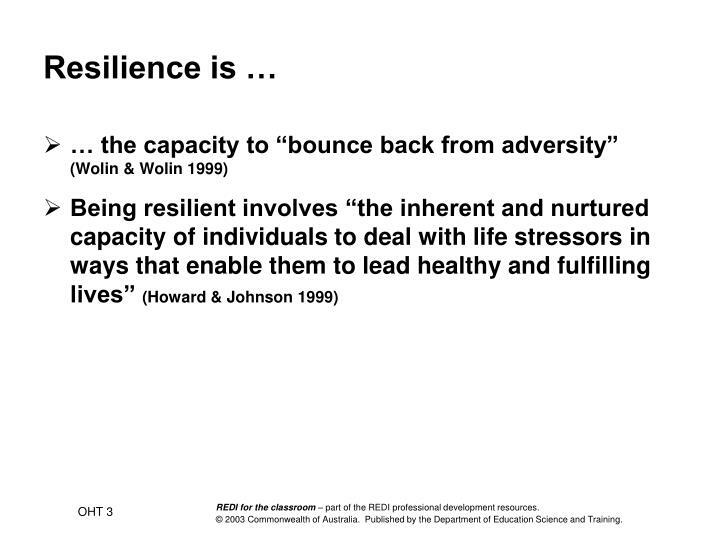 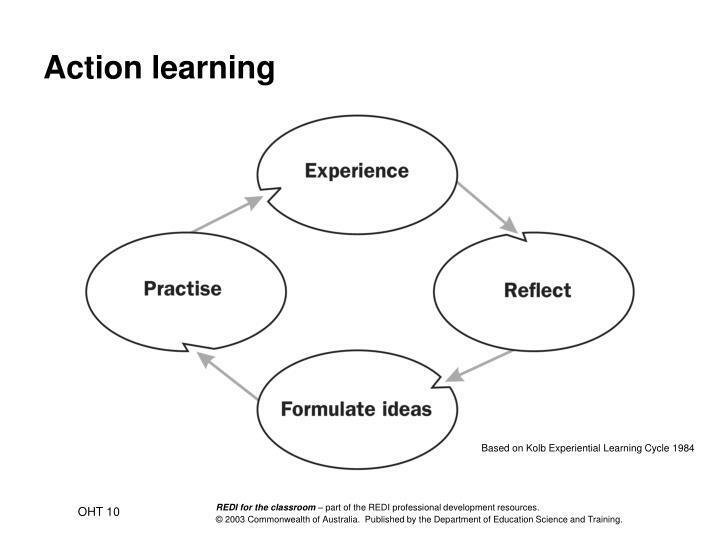 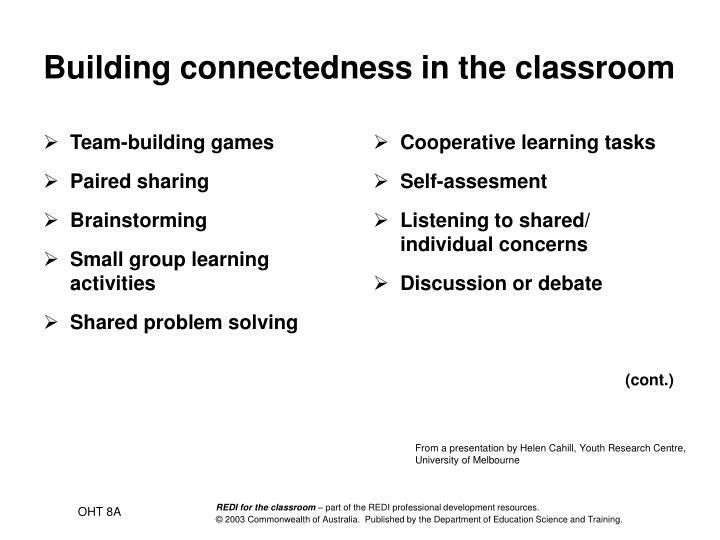 Reflect on own practice for fostering students’ resilience, learning and wellbeing. 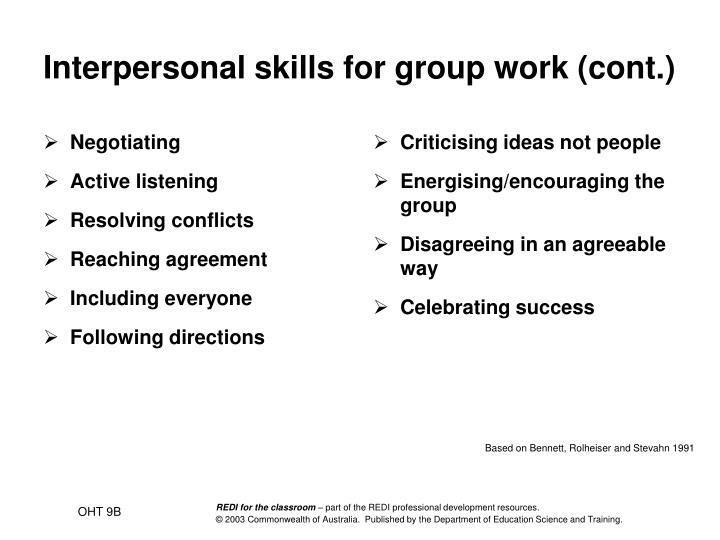 Provide opportunities to participate in a range of student centred group activities for developing knowledge, understanding and skills. 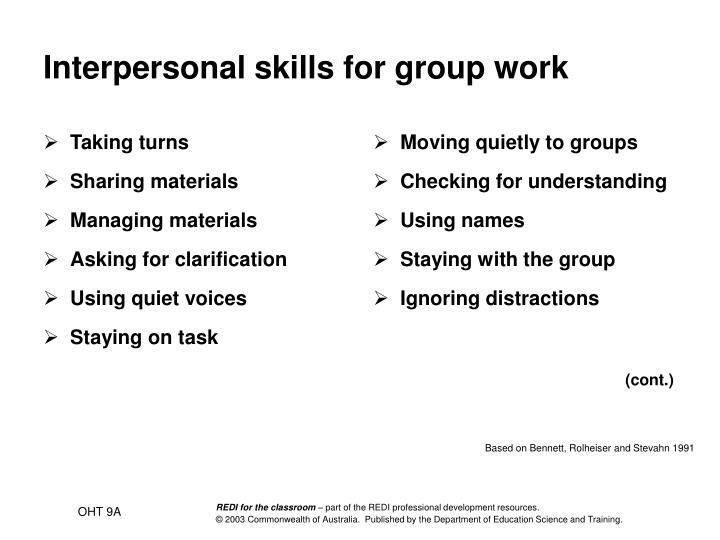 Aim to ensure all students are included and acknowledged in the classroom and during learning interactions. 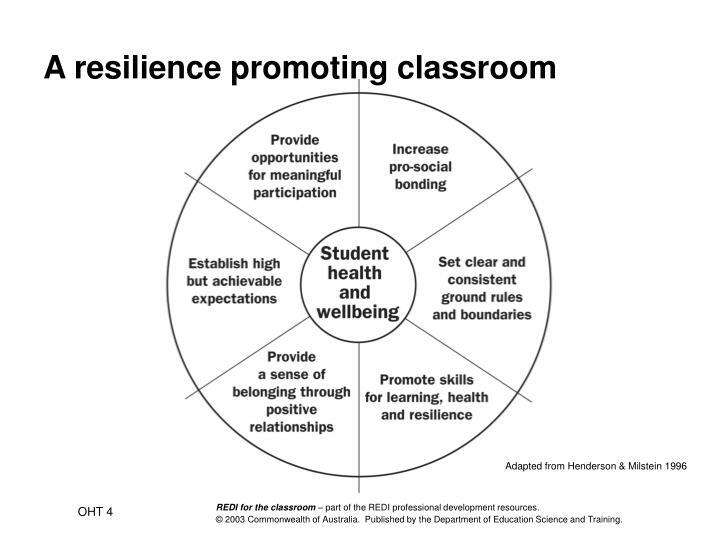 Are fundamental to enhancing the resilience and wellbeing of students, whatever the stage, subject, school activity and age of the students.